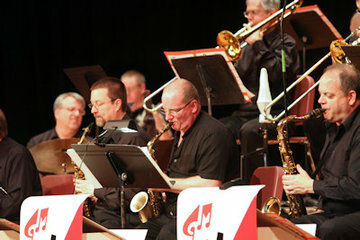 High School Jazz Bands are alive and well in Northwest Pennsylvania, even while live jazz performances on the local music scene ebb and flow with fluctuating public tastes. These great training grounds for future musicians and fans of the music continue to fulfill their function in sharpening young ears to this challenging, American-born, open panoply for musical creativity. 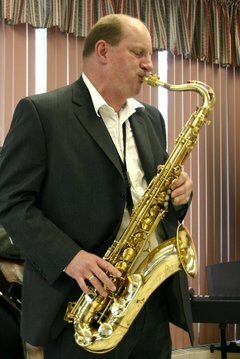 Dr. Zurcher is no stranger to the Erie jazz scene and always brings excitement to the stage. You won’t want to miss this performance since it won’t only feature his great playing but also his writing for big band! Come support the future of the art form! This program is supported by JazzErie, the Erie County Public Library, the General McLane Boosters Club, participating high schools, the Pennsylvania Council on the Arts, Erie Arts & Culture, the Erie Art Museum and JazzErie donors.